Loot crates are the thing in today’s micro-transactions, some people hate it but people still buy it, yet we never really know what’s going to pop out. 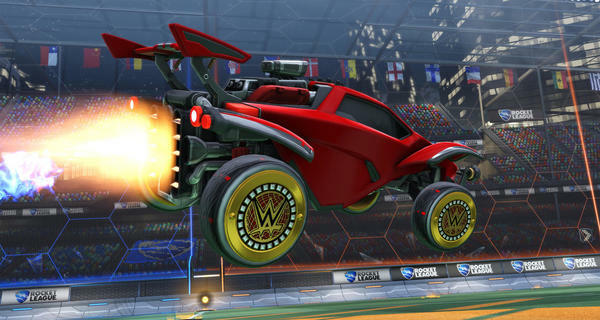 In a blog post, the developers behind Rocket League, Psyonix, tries to be a little more transparent with the rarity percentages behind their “Crates and Keys” loot crate system. You can check out the drop percentages in their blog post below, so you can make the educated bet when dropping your cash in. Our Crate system uses a three-step process. When you open a Crate with a Key or Decryptor, the system first determines what rarity level to choose from — Rare, Very Rare, Import, Exotic or Black Market — based on the percentages listed above. Next, the system determines which item within that rarity group is dropped. If you’re receiving an Import-level Customization Item from the Impact Crate, for example, each of the three Import items in the Impact Crate have an equal chance of dropping. Finally, the system determines if the item will drop with Painted and/or Certified attributes.